Automated Recycling. How robots make their way in recycling !!! 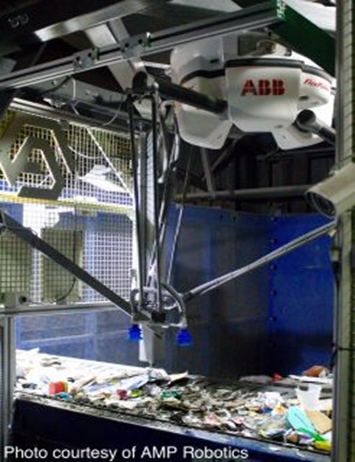 In 2011, the Finnish company Zen Robotics was first on the waste management scene with their robotic waste sorter. Their system used a combination of computer vision, machine learning, artificial intelligence (AI) to run synchronized robotic arms to sort and pick recycled materials from moving conveyor belts. The company broke ground with recycling stations that were tied together in a neural network and the AI learned, from real-time feeds providing data from metal sensors, 3D laser cameras and spectroscopic cameras, to select and sort the right items from the belt. Sadako Technologies of Spain has been working on an AI-infused garbage sorting system on a smaller scale. The company uses proprietary algorithms that connect to a multi-layer neural network system which lives in the cloud. According to Resource Recycling, Clarke uses an off-shelf robot that's been in use for two decades in other industries. Clarke, installed in 2016, has constantly improved its recycling skills, grabbing approximately 60 cartons per minute with near perfect accuracy. Clarke has been programmed to recognize images from the cartons including logos and package printing which it applies to the next round of sorting and grabbing. 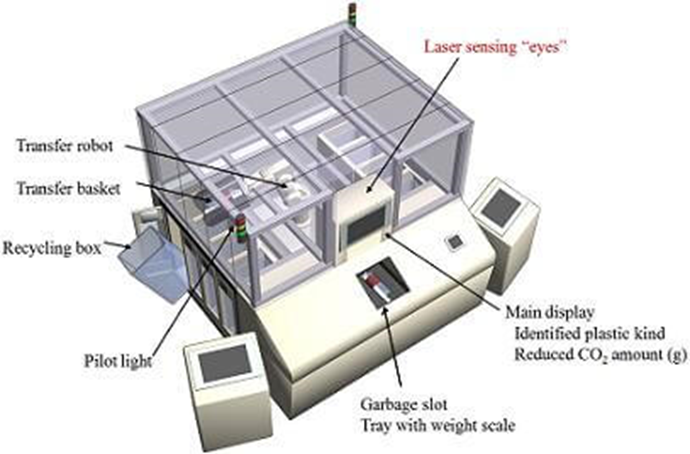 The Clarke system has the ability to sort at super-human speeds, diverting material for re-processing that might otherwise end up in landfill., Clarke's vision system combined with the ability for recyclers to identify and sort new material better and at the same time, sort on the line next to people, will make the difference in adoption. This robot in Japan helps to save the environment by sorting plastic using lasers. This will allow for more than 45% of the total household plastic used to be recycled rather than burned. Mitsubishi, IDEC, and Osaka University have teamed up to help with Japan's recycling problems. They've built a 1.7m x 2.1m (5'6" x 6'9") robot that sorts plastic using lasers. The new robot would be able to sort six different plastic types, including PE and PP plastics which comprise 45% of the total, are not discernible by eye, and which are normally burned with other refuse. With millions of Japanese households generating millions of tons of plastic trash, adopting the robot for use in homes could make a big positive impact on the environment. A smaller version of the robot for home use is under development by IDEC, with a target cost around � 5 million . Recycling plastic is just one more chore that robots have conquered on the path to creating a completely automated house. Robots have taken over vacuuming floors, washing windows, and cleaning dishes. Slowly but surely these automatons are checking things off your To Do list. While most household robots don't have the speed or precision of their industrial counterparts they're able to handle the more chaotic needs of a family. What may be surprising to our future-looking 1950s ancestors, is that these robots are not humanoid, have no cute personalities, and still require a great deal of human interaction. Some, like a dishwasher, peoplr don't even consider to be robots. We may have to get used to the idea that by the time a humanoid robot comes around, all the real work will have been handled by the non-humanoid bots.